Photo: Courtesy of Blue Lake Rancheria. When the power goes out in Humboldt County, California, the lights stay on in a small tribal community there. 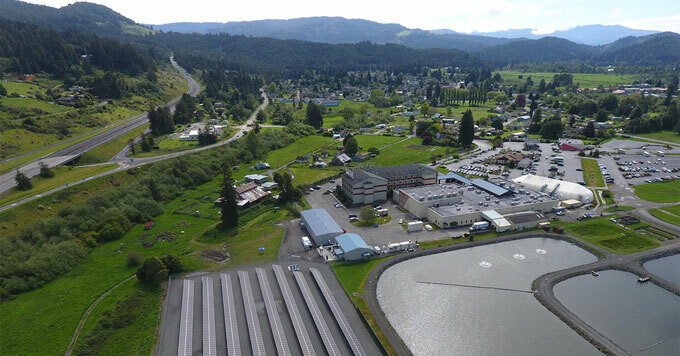 Blue Lake Rancheria has a 500-kilowatt solar array, paired with battery storage. It’s a microgrid, feeding renewable energy to the local utility grid. But if regional power goes out, the system can independently power the tribe’s government offices, casino, hotel, and an emergency shelter. Jana Ganion, the tribe’s sustainability and government affairs director, says the system – which was built two years ago – helps make the tribe more self-sufficient. And it reduces energy costs by about $200,000 a year. But, she says, it also provides benefits beyond the immediate community, because the solar energy it generates helps green the larger grid.